Despite the festivities this time of year, the winter months can get people a little down from being cooped up indoors trying to escape the cold weather and dark skies. So if you think you’ve caught the winter blues, don’t fret just yet. 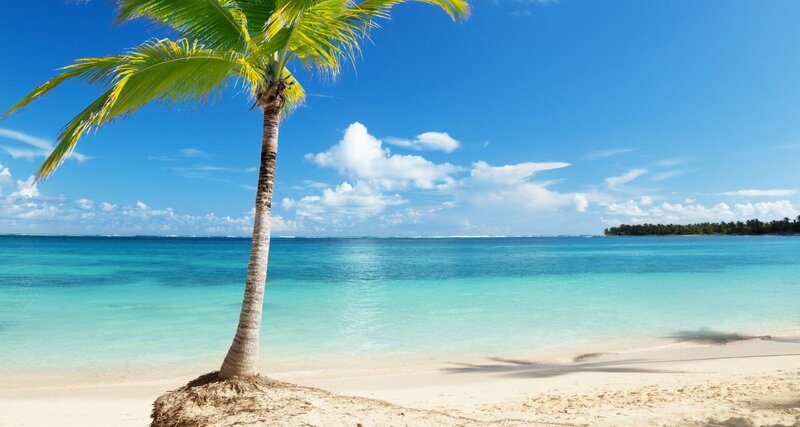 Booking a trip to a warmer destination is a fantastic cure to beat any mid-winter slump. So to help you plan, we’ve put together a list of the best places you can travel to this winter to help boost your mood, plus some tips for making the most of your trip while saving a few bucks. The human body creates Vitamin D when exposed to sunlight and a lack of it is linked to depression. So if you think you’re in need of some sunbathing, look to South America and islands of the Caribbean for your dosage. These regions are famous for exceptionally long days and powerful sunshine throughout the winter that most places don’t get. Costa Rica appeared in nearly every online list of must-visit places for warm winter getaways. And, because it’s located in the southern hemisphere, the country’s summer season starts right when many are catching the winter blues. Costa Rica is a nature lover’s paradise with its beaches and rainforests, and the country is well known for both its affordable activities and accommodations. Travelers should plan to spend plenty of time outdoors soaking up the sun when visiting the country. If cultural experiences are more your style, Rio de Janeiro is the place for you. Rio is among Tripadvisor’s top 25 destinations in the world, and it’s easy to understand why with its white-sand beaches, dynamic food, shopping, and legendary nightlife. The Brazilian city is also rich in history and modern-day influence since hosting the 2016 Olympic games. If you find yourself daydreaming of tanning on the shores of a tropical beach, then visiting the Turks and Caicos Islands is a must. Spots in the Caribbean archipelago regularly appear in must-visit lists for their natural beauty and renowned resorts — one spot even ranking at the #2 best beach in the world. Since the simple beauty and lifestyle draws in tourists year-round, prices on the islands can be expensive, so be sure to keep an eye on tickets so you can score one of the best flight deals and have some spending money left over. If you’re tight on money or time, there are plenty of places within the continental U.S. that still offer warm weather without the need for a passport. Destinations located in the southern United States receive no snowfall and don’t drop to bone-chilling temperatures in the winter months. If you’re craving a change of scenery — snowless scenery to be exact — without having to spend big dollars, then North America is right for you. The Florida Keys are often referred to as “America’s Caribbean Islands,” and Key West steals the spotlight from all of the other islands of the archipelago for its laid-back atmosphere, natural beauty, and fun nightlife. The southernmost island of Florida has a rich history of famous fans and is a haven for alternative lifestyle seekers. Key West is a 5-hour drive from vibrant Miami and 7 hours from theme park capital Orlando, so many visitors dodge taking a direct flight to the island and opt to road trip for part of the journey. On the other side of the US, elegant Catalina Island off the coast of Southern California is an ideal place for warming up this winter to a breathtaking view. Catalina Island draws visitors for its oddly Mediterranean-esque climate and hilly landscape. Hiking, beaches, boating, and golf are among the more popular activities for those who visit. And since the channel island is situated 20 miles from glamorous Los Angeles — an hour ferry ride from the coast — travelers can easily incorporate many nearby world-class destinations into their itinerary. Self-care is one of the best remedies for curing the winter blues. Whether it’s meditation or exercise, taking time to address your emotional and physical health is key to overcoming the seasonal slump. If you want to give yourself some “tender love and care,” then plan a trip to Asia and Oceania and you’ll soon appreciate the health-conscious culture and idyllic, rejuvenating scenery. Health enthusiasts and nature lovers flock to Sydney, Australia, for its outdoor-focused lifestyle, positive attitude, and temperate year-round weather. The beach-side metropolis continually earns recognition as the world’s most reputable city for its balanced culture that few other places possess. The city champions physical activity with its love of sports, including biking and surfing. Organic and all-natural menus are also the norm for local dining establishments, so visitors to the feel-good city can expect to chow down on plenty of healthy meals during their winter visit. 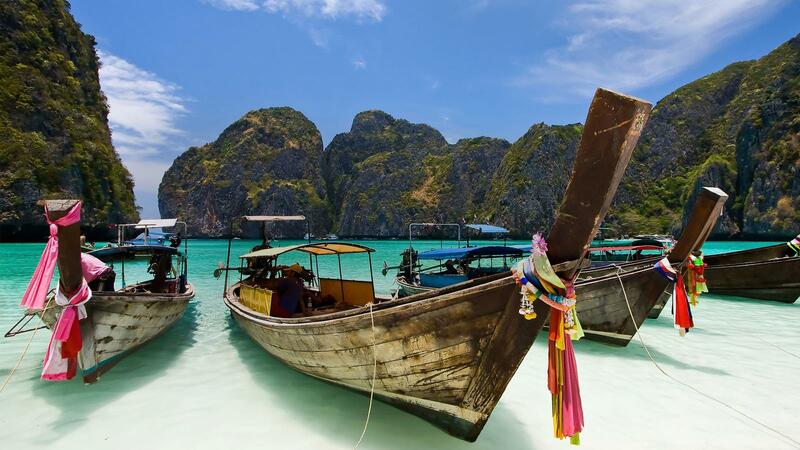 If pampering is your idea of a perfect vacation, then head straight to Phuket, Thailand. The tropical island in southeast Asia is a famous winter destination for its numerous spas and wellness retreats with beachfront backdrops. The rich heritage of Buddhism and nature-centric culture have unsurprisingly made Phuket a holistic medicine destination. Visitors can expect a renewed sense of self after indulging in top-of-the-line yoga classes, massages, and beauty treatments at affordable prices. And, for an added bonus, the island boasts fantastic food and world-class beaches at budget prices, too. The Hawaiian islands — positioned in the middle of the Pacific and heavily influenced by Polynesian and Asian cultures — are the perfect escape for Americans who don’t want to hassle with passports and international travel. Visitors to Hawaii will find awe-inspiring sights, including active volcanoes, sky-high waterfalls, bamboo rainforests, and black sand beaches, across the island chain. One of the main ways to get out of a winter rut is leaving the house for a change of scenery. However, if you’re a frequent traveler, you might not find the same thrill in popular vacation destinations you’ve already visited. 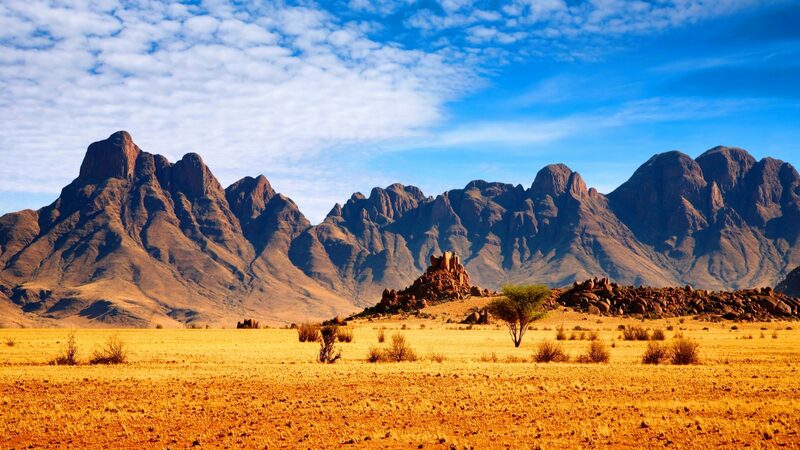 If that sounds like you, book a trip that’s off the beaten path in Africa or the Middle East to bring some much-needed thrill back to your life. Unconventional Cape Town in South Africa has plenty to explore for adventure seekers in need of a winter pick me up. The southernmost city of the continent is steeped in history as a cultural melting pot of African, European, and Asian influences that can be found in its unique food, politics, and customs. 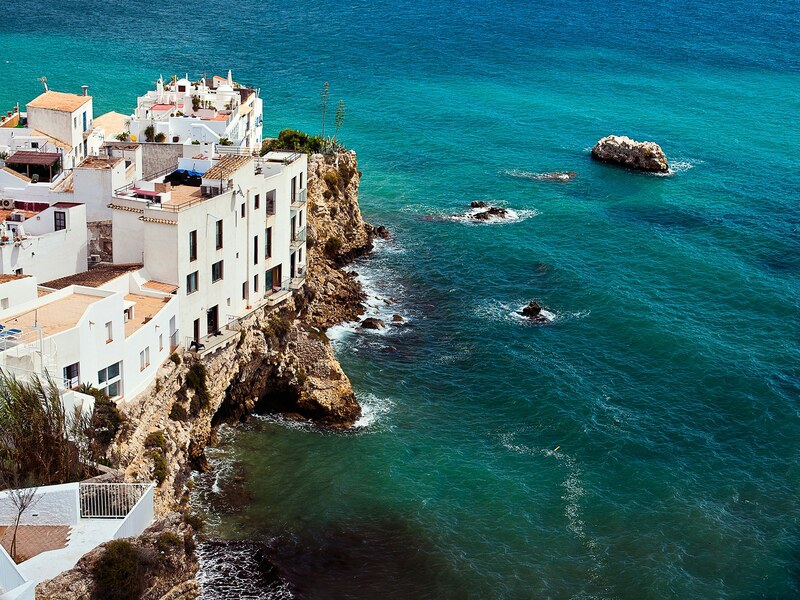 The coastal city is naturally acclaimed for its distinct mountains and top-rated beaches. And you’ll even find world-famous African safari parks and wineries nearby. The East African country of Mozambique is a haven for discovery and natural relaxation. The country is highly recommended as an ideal winter destination for its beautiful beaches and chic accommodations that, thankfully, tend to lack hoards of tourists. Visitors head to the islands of Mozambique to experience stretches of crystal clear coastline backed by white sand dunes. For wildlife-enthusiasts, Mozambique boasts many of the world’s top scuba sites so you can get up close with dolphins and other underwater creatures. Further northeast, it’s easy to see why Dubai is found on top must-see lists for nearly all types of travelers. The luxurious capital city of the United Arab Emirates offers an unusual and authentic glimpse into modern Arabic culture. The city also has a diverse range of record-breaking sights and activities, from international shops and well-kept beaches to unique theme parks and sand dune buggy rentals for adrenaline junkies. Dubai’s tropical desert climate has made it a top destination for winter travelers looking for warmth and an escape from the ordinary. Winter in Europe typically brings images of snow-covered cities and frozen rivers to mind. Yet, even during the year’s coldest months, there are some European vacation spots that could easily fool a traveler into believing it’s summer. For a warm-weather trip packed with history, board a plane to one of these alluring and popular destinations. The Portuguese island chain of Madeira has long enchanted visitors with its stunning mountains and distinct culture and has appropriately been dubbed the “pearl of the Atlantic.” The subtropical island, though Portuguese in heritage, is located in the Atlantic Ocean just west of Europe and Northern Africa, which has led to a blend of intriguing cultures. Madeira is particularly famous for its wines, hiking trails, and rocky beaches worthy of a postcard. The islands are also known for a mild year-round climate, so winter visitors can look forward to perfect temperatures and a carefree trip. A little further south of Madeira is winter vacation hotspot Tenerife, the largest of Spain’s Canary Islands. With its close proximity to the equator, subtropical forests, and numerous beaches, the island has ranked on many must-visit travel lists and has become a popular go-to for European vacationers searching for a warm refuge. The island’s historic architectural sights and Hispanic history further add to its charm for cultural explorers. Since visitors can enjoy mild temperatures every day of the year, Tenerife has appropriately earned its reputation as a prime winter vacation spot for Europe. As one of Europe’s southernmost islands, Malta attracts warm-weather travelers to its hot beaches with its exotic mix of European, Arabic, and African cultures. The Mediterranean island rests between Sicily and North Africa, and has been ruled by powers from the Phoenicians to the English. So, despite its small size, the country is home to three UNESCO World Heritage Sites. In addition to the rich, cultural cuisine, numerous ancient ruins, and rugged landscape, Malta’s location makes it warm enough to swim in the Mediterranean Sea during even the chilliest of winter months. Cold and dreary weather often causes the winter blues, and a trip to a more topical locale remains a top cure. Vacationing in a warm destination has long been recommended for the healing power it can have on a negative outlook. In fact, research suggests that simply planning and having a trip to look forward to can lift your mood, regardless of where you go. So don’t let the drab weather and eventual post-holiday lull drain your happiness reserve. Instead, book a trip to one of these destinations to add some pep — and warmth — to your life this winter.